Welcome to the BT Displays Website! 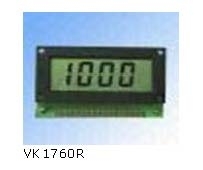 BT Displays: LCD Display Segment; Character LCD Module and Graphic Display models. BT Displays are used in measuring devices, meters and in a wide variety of other fields where LCD display technology is used. Custom Displays: Bearthunder, Inc. recognizes the importance of flexibility. Perhaps you're looking for Custom Displays that your company wants to design into your products. The Tooling and Manufacturing expertise that goes into our BT Displays can also go into your Custom Displays. Just contact BT Displays so we can show you just how easy it is. 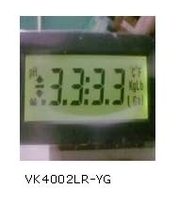 Standard Displays: Or, perhaps you're looking for a Standard LCD Display. If that's the case then please review the dimensions of the several standard BT Displays listed on the following pages and listed in the Product Selection Guides that can be found in this BT Displays website. Have ordering questions ... or perhaps you need a more detail look at a particular Specification Drawing of a BT Display Standard you like ... we can send you one. Bearthunder, Inc. would be pleased to hear from you! Please Contact Us at Sales@BTDISPLAYS.com Thank you !